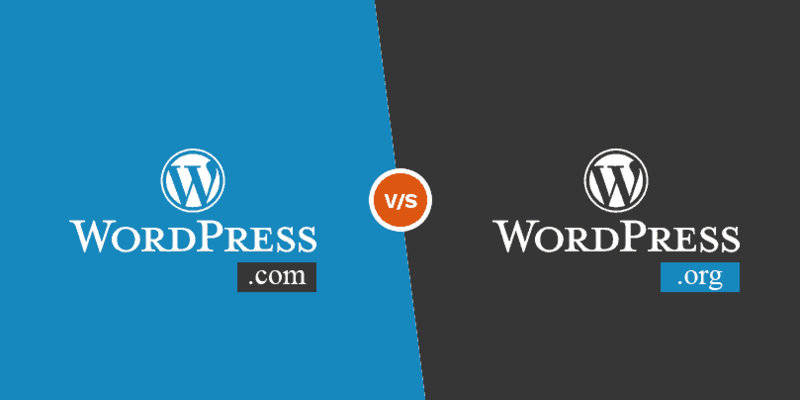 Hi There, writing along the same lines as our previous 2 blog posts – HostGator India VS GoDaddy India and HostGator vs BigRock – today, we’ll compare yet another hosting company with HostGator in this HostGator vs InMotion review. So, let’s begin! In this post, we are going to pit HostGator, one of the most popular and justly reliable web hosts against the niche player InMotion. Before the ultimate HostGator vs InMotion war begins, let us be clear about one thing in our head. There is no such thing as the perfect web host. The ideal web host for you mainly depends on your business requirements, level of expertise and budget. HostGator offers a wide array of beginner-focused hosting options at affordable prices. Alternatively, InMotion is hailed for its highly business-oriented hardware configurations and functions. Our opinions on their respective services are solely based on our experience as a paying customer for a certain time-being. So, without further ado, let the HostGator India vs InMotion hosting clash begin. HostGator was founded in 2002 and was acquired by the revered EIG back in 2012 for a whopping $225 million. HostGator has been a household name for webmasters, online marketers, and bloggers around the globe. If you minutely scrutinize their hosting packages, you will realize how tactfully they have designed features to attract both inexperienced and established web developers. HostGator has struck the right balance between usability and affordability. They offer some of the best features you can get on a tight budget and is a great alternative to free hosting. Their extremely well-behaved and efficient tech support team is figuratively the icing on the cake. Cloud hosting is one of their biggest pros. It not only boosts the speed of your websites up to 2.5X times but also improves the safety of the website resources. This is not just another “meh” fact. Page loading speed is the most crucial determining factor of conversion rate. One study has proved that websites that take more than 5 seconds to load have experienced 7% drop in the conversion rates. In the upcoming sections, we will compare and contrast the top features and usability of HostGator vs InMotion side by side. But before that, take a look at the key features of HostGator listed below. $100 Google AdWords and Bing/Yahoo advertisement credit worth $25. Unlimited Domains, bandwidth, and disk space. HostGator Domain coupons and HostGator hosting coupons. InMotion has been in the business since 2001 and has grown rapidly since then. Today, it boasts of over 300,000 domains under its authority. It is dominating the industry with its mass scalability, excellent customer support, and top-of-the-line hardware. They have two data centres, one located in Los Angeles and another at Virginia Beach. What makes it a strong suit for marketers is the flexibility to choose the desired data centre among these two. This is also known as Max Speed Zone technology which is undoubtedly their biggest USP. If your site is within their Max Speed Zone, it will yield 6x times faster-loading speed. To accelerate the speed further, they integrate upscale SSDs in their servers. Those who want to get traffic from various parts of a country can benefit from their recently upgraded data centres for an improved website administration. 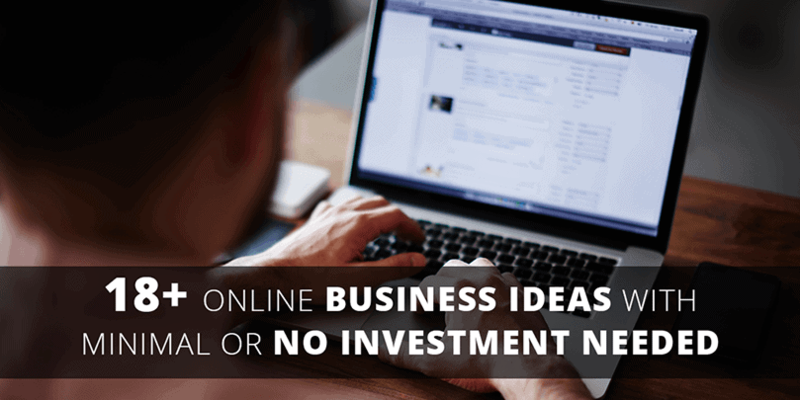 Although InMotion has established a niche clientèle among MNCs and eCommerce marketers, it has recently introduced Web Hosting Hub which primarily aims at novice bloggers and small-scale business entrepreneurs. Let’s quickly look at the salient features of InMotion hosting in a nutshell. Free of cost automated site backup. One of the core functions of a web host is to cater to the request of the visitors as soon as the request is made. The nerdy term for this function is page loading speed and the SEO ranking of your sites heavily depend on this. Web hosting is the second biggest determining factor of this, first being your website configuration. The metric we use to denote the loading speed of a host is TTFB or Time to First Byte. It is the time your website takes to fulfil a request from a user. We used WebPage Test to compare the test the speed of two sites – one on the Shared hosting of HostGator and another on InMotion. The website hosted by HostGator took 2.85 seconds to load with the highest speed record of 2.38 seconds and the lowest being 15.02 seconds which is quite surprisingly bad. This drastic downfall of consistency has been apparent since the time EIG bought HostGator. Before that, it had a tie-up with SoftLayer. This was an era when HostGator was lauded by web developers for its blazing fast loading speed. But do not be disheartened, it is multiple times better than what most other cost-effective web hosts offer. The EIG company marked 2013 fiasco as an isolated incident. In the WebPage test, the average speed of our InMotion hosted website was 3.21 seconds, the highest being 2.13 seconds and 14.12 seconds the lowest. We were quite impressed by the consistency of InMotion. We believe we could have said the same about HostGator when it was an independently running company like InMotion. Verdict : Although there have been a couple of instances where both companies have been heavily criticized for their erratic performance, we would still declare HostGator as the winner based on the statistics. The location of the server has an important role to play in the SEO rankings of your websites. If you are creating your website in India for Indian audiences, it is best to host it on an Indian server. In 2011, HostGator launched an Indian version of the website. Its data centre is located in Nashik, Maharashtra. Due to the reduced distance between the user and the server, the website latency decreases significantly which leads to a faster page loading speed. Multiple localized payment options are also another valid reason to choose HostGator India over InMotion, whose servers are U.S-based. One of the hosting warning signs of a poor quality web host is frequent downtime or low uptime. Uptime is another important performance indicator of a web host. We ran Pingdom test on the two sites to measure their uptime. It will immediately notify you if a site takes more than 30s to load. Honestly speaking, if a site takes more than that time to load, do not consider investing your precious money in it. Moving on to our observation, HostGator didn’t do exceedingly well in the test. The average uptime was 99.97% which occasionally spiked to 100%. Back in 2013, while it was already being acquired by EIG, HostGator infrastructure was migrated to Utah data centre. This resulted in several hours of downtime for 3 days straight. Although it was an isolated incident, it nearly lost its monopoly in the web hosting biz after that. However, the uptime is still pretty decent if you are to host multiple websites and blogs. By October 2017, it maintained an average uptime of 99.99%. We also tracked the cloud hosting uptime in September 2017. It maintained 99.9% uptime consistently for 30 days. HostGator offers another unique perk. If it fails to live up to the 99.9% uptime guarantee, you will receive 1 month’s credit in your account, depending on the package you choose. The average uptime for InMotion was 99.96%. The highest uptime recorded was 100% but it also hit as low as 93.19%. Their uptime has been quite a roller coaster between 2016-2017. With that being said, the downtime lasted for roughly two minutes. By the end of November 2017, the average uptime recorded peaked at 100%. Moreover, you will be notified beforehand about their planned server maintenance schedule so that you can plan your work schedule accordingly. We count it as a pro. Verdict – Both are head-to-head in the competition so we consider this as a tie. There are two kinds of online marketers in the world – the one counts every cent he spends and the one who doesn’t. If you belong to the first category, HostGator is your safest bet. It offers a great flexibility in terms of choice and each plan is designed for a particular stage of evolution of your business. To begin with, HostGator’s most economical plan is the Hatchling plan which starts at only ₹222/mo. The modest price and bare basic features like unlimited disk space, unlimited bandwidth, and one domain make it a great catch for those newbie bloggers, developers, and marketers. Having 1 domain with unlimited databases means you can have an indefinite number of websites on this single domain. When your business finally takes off and the requirements consequently double, you can switch to HostGator Baby plan or Business plan. The Baby plan contains a few extra features along with all the existing features of the Hatchling plan to help you bump up the traffic and conversions. The Business plan is targeted at the pros and it includes premium features like dedicated IP and private SSL. For further in-depth detail on various HostGator web hosting plans, read this comprehensive HostGator India review. On the contrary, InMotion’s starter plan (Launch plan) includes 2 domains, however, with only 2 databases. Therefore, it ultimately allows for only 2 websites on the server on this plan. So, HostGator is clearly at an advantage here. The Power and Pro plan of InMotion provide a better value, support, and performance. Their business-class hosting plans do carry a steeper price tag. However, features e.g SSH access, support of multiple languages like PHP, Python, Ruby, Perl make the investment totally worthwhile. You will also get to select the data centre based on where you want to get your maximum traffic from. SSD storage increases the speed by up to 20X percent. Most of all, the basic plan of InMotion is only about a $1 more than InMotion. As far as the money back guarantee is concerned, here too InMotion beats HostGator by a huge margin. InMotion allows you 90 days to decide whether you want to continue with their services while HostGator spares literally half its time, 45 days to be specific. Verdict – HostGator is the best choice if you are planning to host multiple sites or blogs. However, if you wish to concentrate on only one to two websites at a time, InMotion easily outperforms HostGator. Here, both are winners in their own terms. The cPanel integrated by HostGator is known for easy comprehensive UI and single-click apps installations. This is one of the prominent reasons why HostGator is a go-to choice for users who want to tap into this highly competitive field but lack the required technical knowledge. InMotion also uses cPanel but we felt that InMotion cPanel facilitates a cleaner installation and a lesser number of upsells. 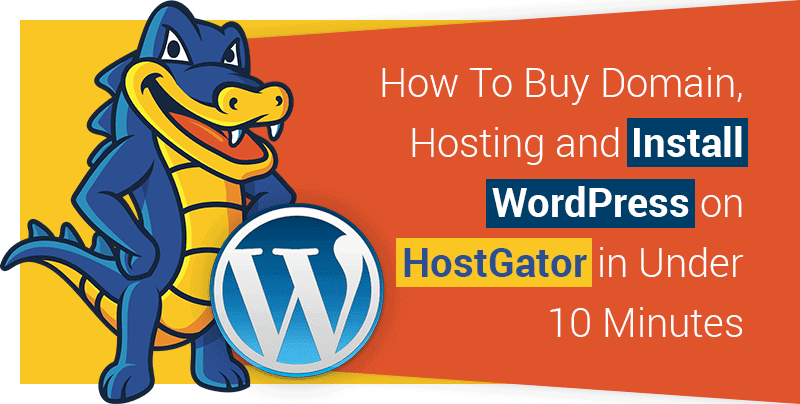 Like HostGator, it also aids QuickInstall for WordPress and Joomla. However, the HostGator WordPress Install comes with preloaded themes (bundled product) which most novice bloggers and web designers find very convenient. Verdict – The beginner-friendly HostGator cPanel wins this round by a tiny margin. A reliable customer support is an essential factor to take into account while choosing a web host. Even if you don’t fail technology, sometimes, technology can fail you. In such events, you seek help from the host’s customer support team. HostGator takes customer support very seriously. Although they are more responsive on live chat, you can reach them via telephone as well. If you email them your problem or query, they’ll typically reply within 24 hours. On top of that, they have over 500 tutorials, tons of how-to-guides, tutorials and members-only active forums to help you guide through each step of your journey. InMotion pays special attention to their Knowledge-base, keeping it more frequently updated than its competitor. They also provide support via phone, ticket system, email and live chat. However, their live chat mostly remains down. So, you have to either call or email. They haven’t responded to any of our emails before 24 hours, so, we had to call them up. This could be super annoying if their telephone line is busy. Verdict – HostGator’s customer support is definitely more reliable. HostGator provides tons of features to maximize the performance of your website. If you opt for the monthly contract, you can upgrade to a more advanced hosting plan at any time of the month. You just have to pay the difference between the two plans. However, HostGator charges a nominal fee for data restore while InMotion does it for free. Another aspect where InMotion beats HostGator hands down is domain and website migration. While InMotion has garnered immensely positive reviews for its easy-peasy, zero cost migration, HostGator has faced criticism for server downtime during the migration. Moreover, the domain transfer won’t be initiated until you pay for it. Verdict – We read hundreds of HostGator vs InMotion reviews instead of solely relying on our personal experience. Looks like we are not the only one who thinks InMotion is a more convenient choice for users looking for a premium hosting to build a dynamic website. Whereas, HostGator is best for budding entrepreneurs and startups. In closing, we’d say that if your requirements are high and you are constrained by budget, HostGator offers exactly what you need. It supports both Windows and Linux based hosting while InMotion exclusively deals with Linux hosting. HostGator also puts customer support at the front and centre. InMotion boasts of business-class hosting, investing in which makes sense only if you are focusing your attention on just one or two sites. Your call. Was this HostGator vs InMotion review helpful? Let me know in the comment below!